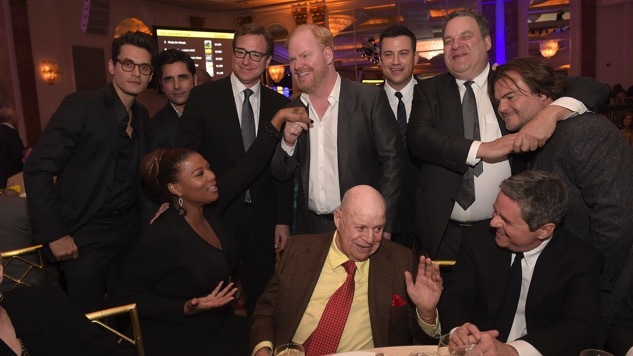 For being comedy’s most famous curmudgeon, Don Rickles has an awful lot of friends. And soon he’ll be chatting with those compadres for a forthcoming new interview series. Dinner with Don is being produced by AARP (yep, that AARP) and will feature the insult-comic extraordinaire dishing with friends including Robert DeNiro, Martin Scorsese, Amy Poehler, Jimmy Kimmel, Paul Rudd, Billy Crystal, Vince Vaughn and Marisa Tomei, discussing life and the comedy trade at a host of Los Angeles-area restaurants. There’s no premiere date for the 10-episode, AARP-produced series yet, so, while you wait for more info, you can enjoy the 2014 Spike Tribute to Mr. Rickles below.